I am so excited to have had the opportunity to interview Jonathan Whitelaw about his newest book HellCorp as part of this blog tour! 👿 In HellCorp the devil finds himself burned out and in need of a vacation, but first he has to do something for God. I am really intrigued by this title and cannot wait to pick it up myself, and it was so cool to learn more about how this story came to life from the author! 1) As an undergraduate you dabbled with psychiatry. What made you decide to switch to writing and journalism? I’ve always loved psychiatry and psychology – and I still do. In fact, my wife (to-be) is a psychiatrist so you can imagine what conversations are like around our dinner table! The mind and how we think, behave and are the way we are has always fascinated me. And that interest has made its way into my writing. The switch was, quite simply, because I love to write. I’m in a fantastic position where I can do what I love every single day. Journalism is a brilliant profession and one that has many facets and avenues for people to enjoy, meet interesting people and do some fantastic things with. I love writing, both as an author and as a working journalist. And being able to do both of these things, day in, day out, is a real privilege. 2) Do you think your work as a journalist shapes your fiction writing at all? I think it probably does more than I acknowledge. As a journalist I’ve covered some pretty weird and wide-ranging topics. From fashion capitals of the world to grisly crimes, live elections, sporting events, concerts, celebrity gossip and even a toxic waste seminar dubbed the “World Cup of Radioactivity”. I’m lucky to have been exposed to so much varied stuff so early in my career. And you don’t come away from those sorts of things without learning something. At least, in my opinion, you shouldn’t. While I’ve never directly used anything from my journalism in my fiction, I know there’s definitely been an influence in there somewhere. Whether that’s people, places or just the spark of an idea, it’s crept into my fiction in some way. I always keep an open mind in everything I do, including my writing as a journo and an author. And I’ve always believed that inspiration can strike – quite literally – at any time. 3) This is your sophomore novel, after Morbid Relations was released in 2015. 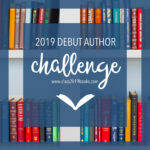 How has your writing process developed since your debut? The process is dramatically different now. When I was writing Morbid Relations I was doing a lot of travelling back and forth from work. Two hours spent on a train every day, usually in the early hours of the morning, gave me a chance to dedicate the same amount of time every single day to writing. And as a result it became very regimented, very strict. Morbid Relations’ first draft was finished in about six weeks – the finished novel in two months. It was an intense, very focused period and style of writing that actually really suited me at the time. Three years on and it’s all a little different. I have more time at home to write and the whole process for HellCorp and my other projects feels a lot more relaxed and free-flowing. I never felt pressured into writing Morbid Relations. But looking back on it now I can see it was quite an intense environment to be working in. Like I said, it worked and I don’t think Morbid Relations would have turned out the way it did without that environment. The same goes for HellCorp. They’re very different novels, with different styles, approaches, characters and scenarios. I know that with the freedom of being able to to a little here and a little there or more focused sessions of writing, it’s helped shape the way the story flows. For the better of course. That said, I checked the stats on the first draft of HellCorp for this interview. It appears I had the draft done in about six weeks too. So if I’ve learned anything – it’s that I know absolutely nothing about my writing approach. Now that’s psychology! 4) I love the idea of the Devil wanting to take a break and creating a corporation to tend to things sounds totally in character. How did you come up with the idea for HellCorp? I’ve always enjoyed crime fiction and as a writer you always think you can give it a go. But I had one big obstacle – I knew I couldn’t ever write a crime novel. Authors like Ian Rankin, Mark Billingham, Val McDermid, Mason Cross and Peter James all weave these brilliant, intricate stories that have you guessing right until the end. And they’re SO good at it that I always thought – leave that to the professionals. The idea of HellCorp came about when I was watching Wallander on TV and I realised there are a lot of tragic anti-heroes in crime fiction. If they aren’t alcoholics then they’re drug addicts, divorcees, mavericks etc. Sometimes all of the above. It’s very difficult to tread new ground in that respect, not just with crime fiction but all genres. It got me thinking. Who would be the ULTIMATE anti-hero if given the chance? That was easy – The Devil. And from there the character and characters all seemed to grow from that starting point of what I wanted from a central character. I also wanted to have a healthy mixture of genres in there. For crime and mystery readers there’s a really juicy one to get your teeth and head into – how do you solve the murder of a person who took decades to die? For sci-fi and fantasy fans there’s plenty of otherworldly-ness too, with the lines between reality and a more spiritual plain blurred. And at HellCorp’s heart are relationships. Relationships between The Devil and God (Him), The Devil and Jill Gideon and ultimately The Devil and his relationship with himself, Humanity and how he can be that little bit more understanding. And dare I say it… forgiving! 5) What were your favourite and least favourite parts about writing HellCorp? I can honestly say that I didn’t have a least favourite part of writing HellCorp. It was an absolute joy to craft, from the characters, to the plot to the actual sitting down, getting the laptop out and writing the thing! I know that sounds like a cheesy answer but I was always taught to tell the truth (thank you gran!). And that’s it! Being able to share this novel with the wider world and readers has been such a liberating and fantastic experience. And I’m so grateful to the people at Urbane for seeing in it what I do. And I genuinely can’t wait for people to get their hands on it. It’s exciting! If I had to choose a favourite part I think it would be writing the scenes with The Devil and God (Him). They have a relationship in this book, one that’s perhaps a little different, a little bit left field to what people might imagine it to be like. I’m not ready to upset the applecart of thousands of years of philosophy or tradition. But I absolutely adored the way that their relationship has developed over the course of the book. Without giving too much away I think it’ll surprise the readers. I used to come out in shivers of excitement when I knew sections and chapters involving the two of them were coming up. It was like spending time with a couple of really good friends, maybe even family members, and watching them play off each other. It’s a special moment for a write to experience that with characters you’ve come up with. And you know you’re doing something right when you feel that way. So I hope it comes across in the novel. And I actually can’t wait for everybody to meet them. 6) Is there more in store for the Devil, or are his adventures finished with this book? Now that would be telling! You have to read to the end of HellCorp to find out! I’m not that cruel – no matter what The Devil would have you believe. The character, and the supporting cast, have been so great to write and actually just spend time with that I think it would be difficult for me NOT to want to do more with them. I love how HellCorp has combined so many different genres – it’s a real challenge to and for me to keep up a balance and make sure every part gets the right amount of airing and time it needs to develop. I like challenging myself as a writer – it keeps everything fresh and new and means you don’t get complacent. With that in mind, yes, there are more adventures in store. The follow up is with Urbane at the moment and I’m busy working up more ways to make everybody’s favourite cosmic bad guy win, lose, suffer and scam his way out of jams. 7) What advice do you have for aspiring writers? Any common traps you recommend avoiding? It’s simple, straight to the point and above all else – true. So much so that I’ve always vowed to pass that advice on whenever I get the chance to do it. Writing is all about writing. You have to write to be a writer. It’s not rocket science or brain surgery – those are far too complicated. Writing takes time, effort, dedication and above all else, YOU ACTUALLY SITTING DOWN TO WRITE. Aside from my journalism I always make sure I write something every day. Sometimes it’s 50 words, sometimes it’s 5,000. It doesn’t matter. Get your ideas down on paper or on the screen. Look at them, read them, rewrite them, start all over, do what you need to do. This blog tour was organized by Love Books Group Tours. What do you think about this book, and what do you think the devil would do if he wanted to go on holiday? Thank you Tammy, and I definitely loved his advice for writing as well!